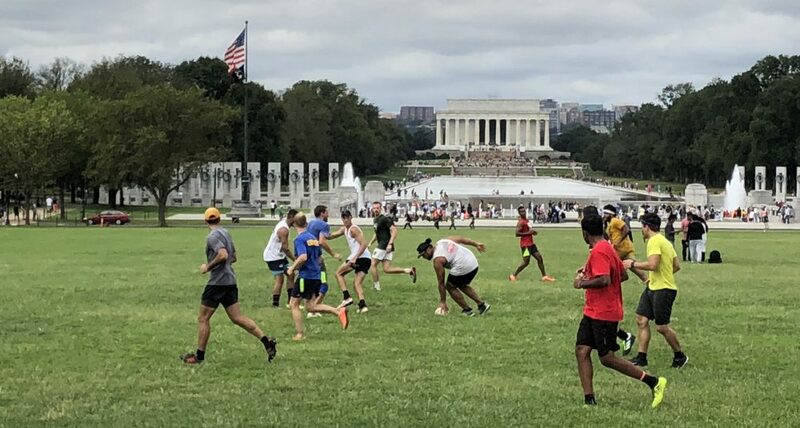 Get Fit and Have Fun: Pick-up Touch Rugby in Washington D.C. This entry was posted in Uncategorized by georgiaoc. Bookmark the permalink. LMAO, @ ‘The Late’, only Jr. Can top me at that, and he was MIA, lol….Good stuff with the organizing Georgia. Good stuff DC Touch, was def a good outing!